Pretty stoked to have entered Armenia without any problems considering our little overstay in Georgia, we woke up not far from the border we crossed the previous day and were soon approached by an elderly man. After a couple of minutes of the usual first encounter formalities our new friend asked us to wait on him a little, he would soon be back, before storming away. 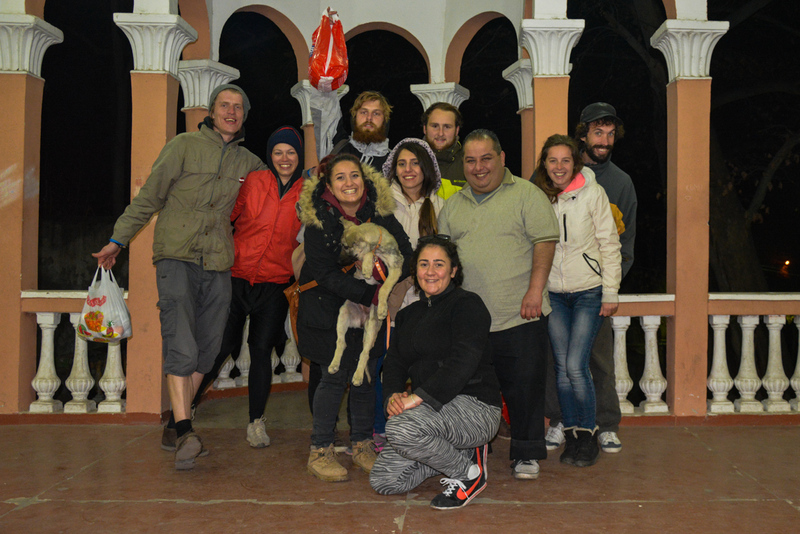 Just about the same time we started to pack our belongings – Edjik returned carrying some bread, cheese and Armenian chacha (moonshine). It was only 10 in the morning, but since it was our first real day in yet an unexplored country, we accepted the friendly proposal to have a welcome drink together. This was the first but far from being the only friendly encounter with the locals. 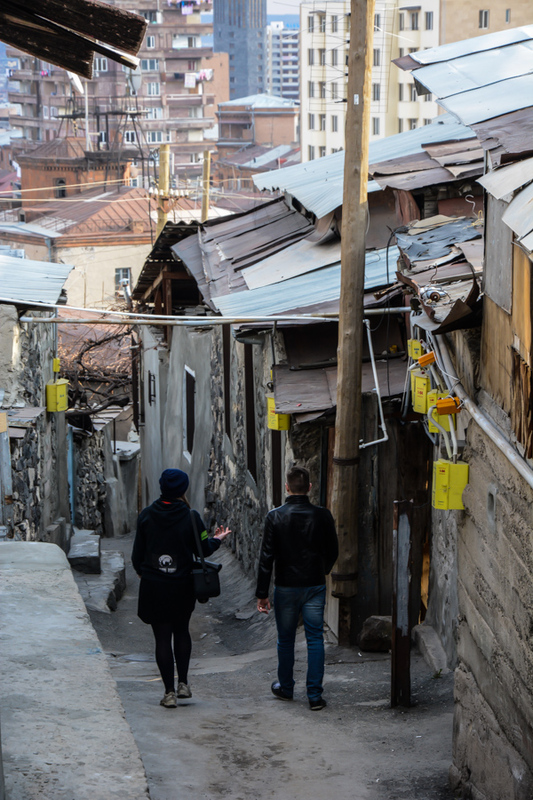 On multiple occasions on our way to Yerevan we were greeted by warm and welcoming people, inviting us to be their guests for a while, much of which we had to refuse, since we were on a bit of a schedule – we wanted to get to Yerevan a.s.a.p. to apply for our Iranian visa – we could not linger anywhere too long. After a day of cycling along River Debed, Armenia with some ups and downs; with little snowy mountaintops; but mainly pedalling along the valley; meeting some very hospitable people; cycling in T-shirts and getting our first unexpected tan, we wondered – how come we had heard so much about Georgian hospitality and beautiful nature, delicious wine but nothing about Armenia? 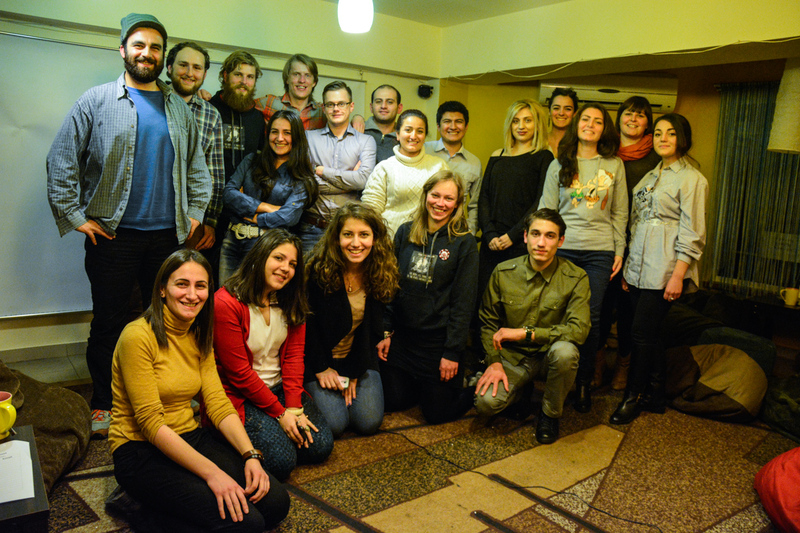 We had experienced as much, if not even more, sincere hospitality and open heartedness from the locals in Armenia as in Georgia. The surrounding nature seemed, a little rockier and wilder – true, but by no means less beautiful than in the previously visited countries. 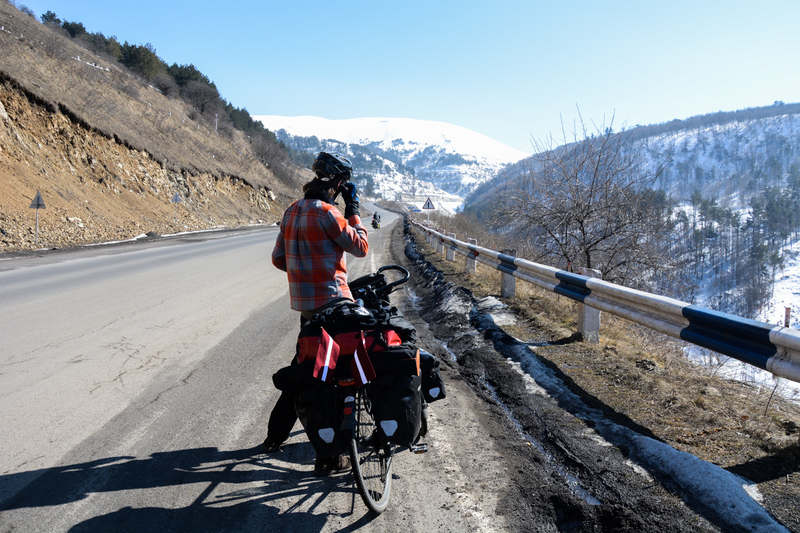 Our route to Yerevan was supposed to be a test of sorts for our newly acquired bicycles; time to adjust and get used to riding them and being on the road in general, since we had been on a 3 month “winter break” from cycling whilst in Georgia. In a way, the break worked as a good thing – it gave Ivars and me some time to rest our knees which gave us some problems before and now we were ready to be back on track. 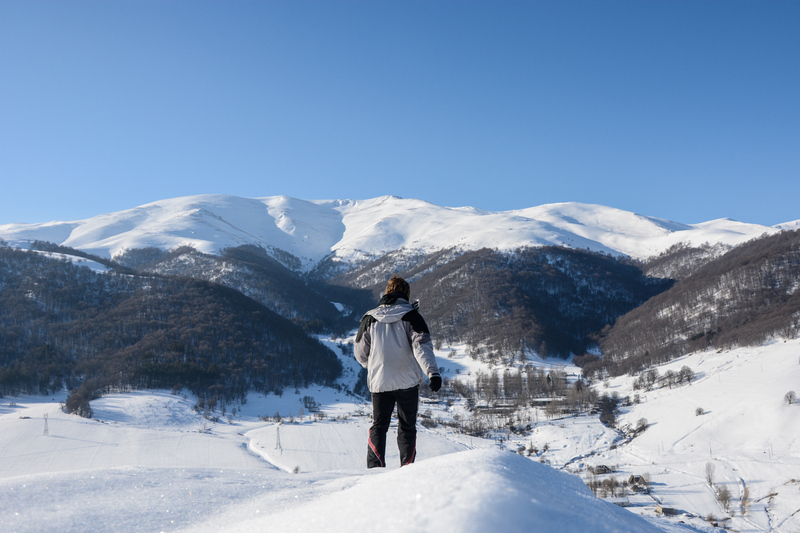 After the first day’s relatively low-pitched roads, we had cycled to some more serious ascents and the next couple of days we were challenged by the Lesser Caucassus. 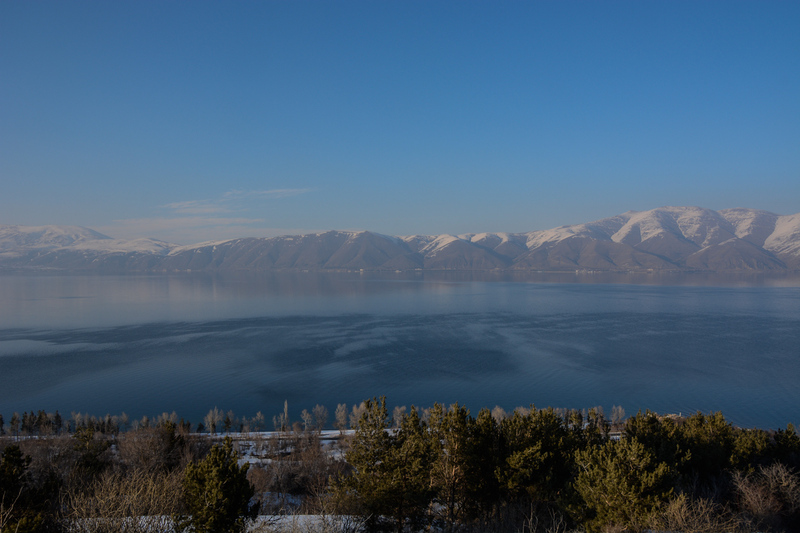 Deciding to take a little detour and cycle by Lake Sevan before getting back into bigger cities, our last and most serious climb till then was to the Dilijan-Sevan pass, it surprised us a little with a conveniently located tunnel, thus we only cycled up to some 2100 m asl. and did not need to conquer the peak a few hundred metres higher. On the other side of the tunnel we were stopped by its guard who insisted we have some refreshments at his office and warm ourselves a little till we go further. 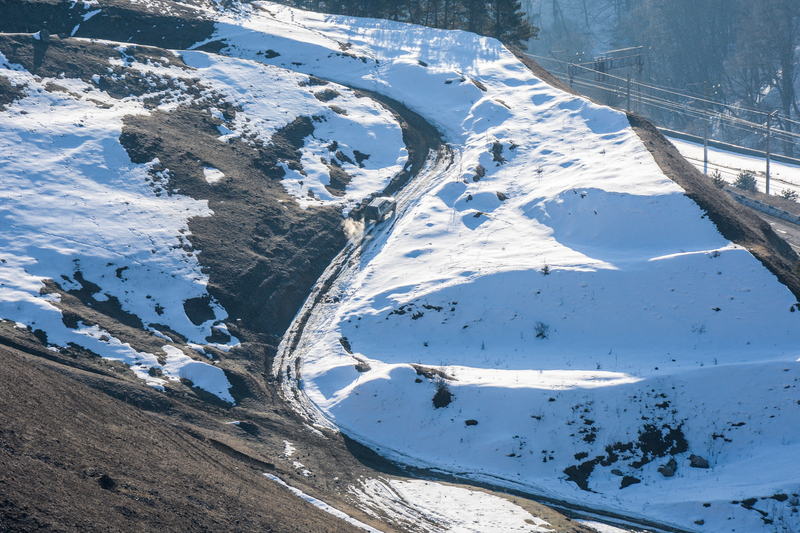 He was eager to tell us stories about the travellers he has met during his work, here we also got to know that a couple of days back an acquaintance of ours had walked the same tunnel we had just cycled through – a French man named Thierry Bussy we met at the beginning of 2015 in Tbilisi. We were quite happily surprised by these news and about the future prospect of seeing him on the road. During discussions like these a cup of coffee turned into lunch; turned into some medical spirit testing and our new friend (who preferred to being addressed just as Fedja) invited us to stay over-night multiple times. 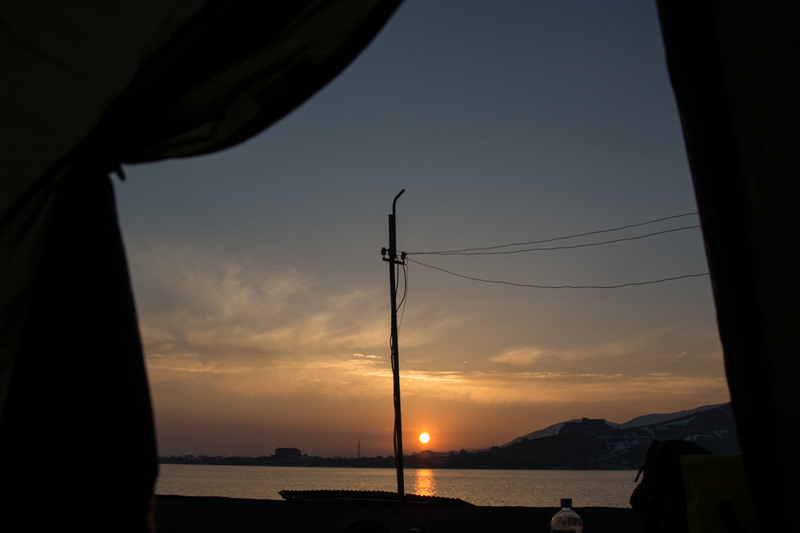 However, our mind had been set on reaching Lake Sevan that day to camp by the water, if possible, so we said farewell. We had stocked up with some Latvian chocolates and candy that we could give to people as a little thank you but our new friend would not accept any, I even started feeling embarrassed for offering, since I did not want to offend our new friend, and it seemed to me – Armenian hospitality has no bounds. 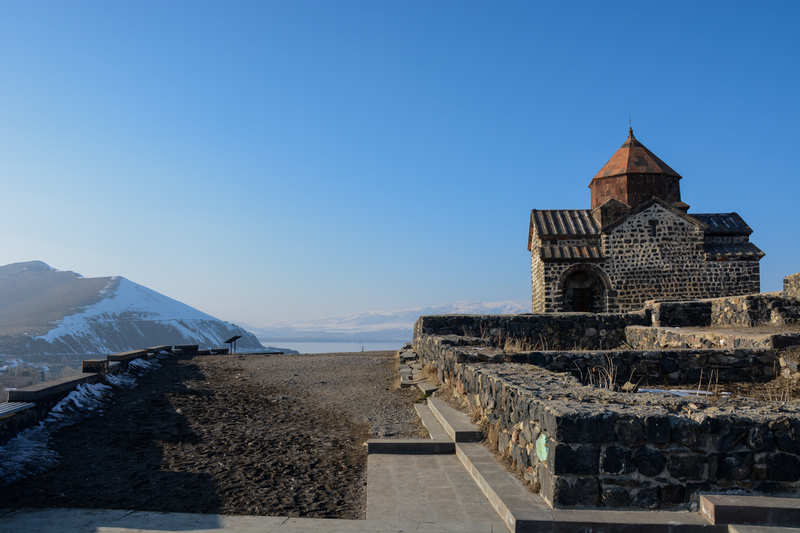 It was early afternoon and the warm sun combined with the crispy fresh air, mountains all around and a decent downhill to the lake made it the most enjoyable of rides and we found ourselves at a small peninsula on the North/West shore of the lake where the Sevanavank monastery is located. Quite the touristic place, but we were lucky to be there at the end of February, so most of the beaches, resorts and hotels were still deserted. 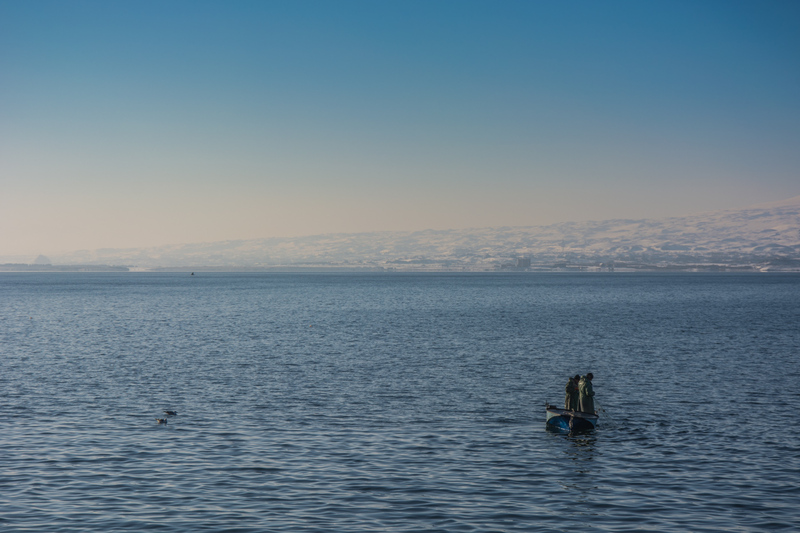 Lake Sevan is by far the biggest lake in Armenia, its altitude is almost 2000 m asl. We camped not far from a closed off territory at the end of the land strip which we later found out to be one of the Armenian president’s residences. Well, if the view was good for him, it would suit us too. 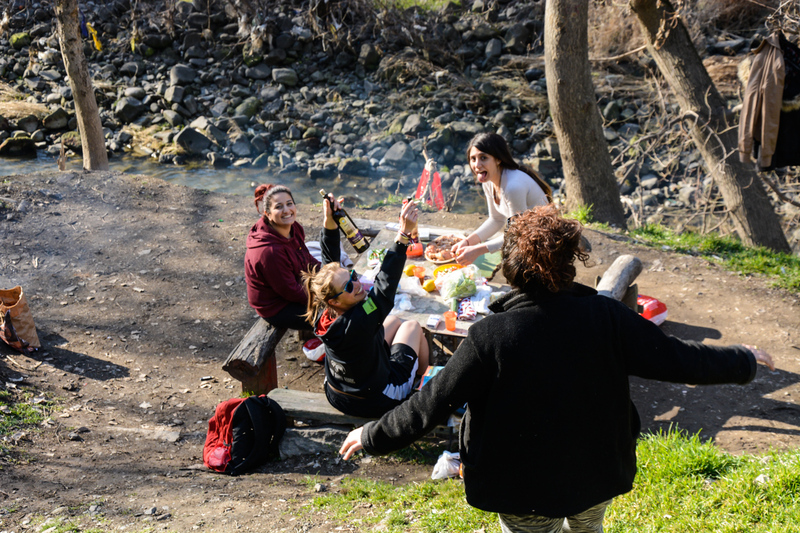 The next day we found ourselves mainly rolling downhill all the way to Yerevan and we arrived at the capital of Armenia by midday and our new host’s – Victoria’s house by early afternoon. 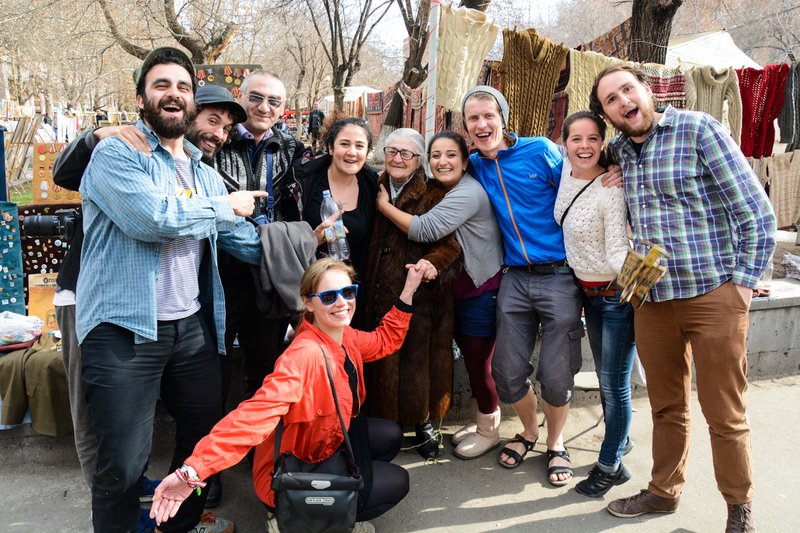 Yerevan turned out to be a complete surprise and I believe I can say this for Ivars and Dainis as well – we spent incredible two weeks and it was mainly thanks to Victoria and the inhabitants of her International Palace. It was here that we met the most interesting and inspiring people from quite a few different countries and after one week the already beforehand mentioned French gentleman had walked his way to Yerevan. 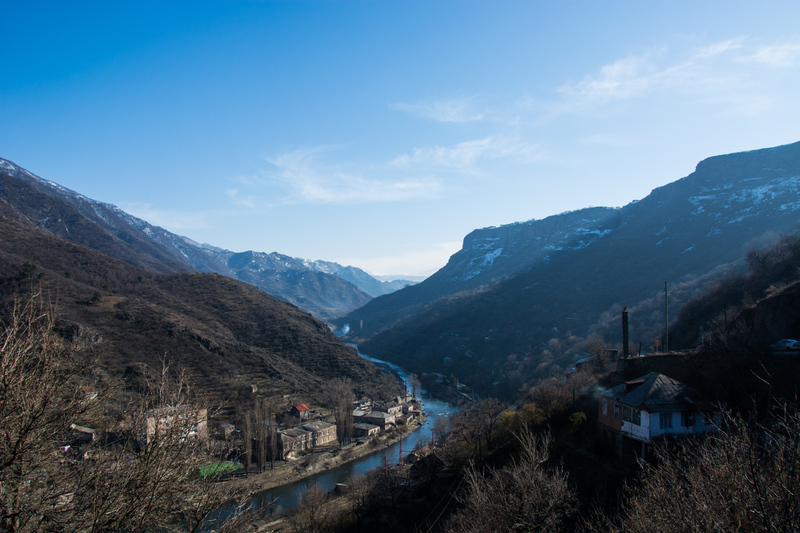 The process of acquiring an Iranian visa whilst we were in Tbilisi, Georgia fell apart. We went to the I.R. of Iran embassy in Tbilisi, Georgia three times. Every time we inquired about applications, we were shrugged off by a man saying it is hardly possible to get a visa straight in the embassy and each time we were handed some business cards of a tourism agency through which we could get a visa without problem, just paying 3 times the price. Even with the meeting we managed to schedule with the consul at the Iranian embassy thanks to Ieva Jurgalane, we did not hear a sound back from them and after a month and a half of continuous calling and waiting, we finally gave up. So when we arrived in Yerevan, the first thing we did was checking out the Iranian embassy. We were thrilled to find out that the application for a visa there is straightforward and according to the information we had read. After getting our insurance done, appropriate pictures taken and paying for the visas (these activities still took us a couple of days days), we were ready to receive our visas in some five working days. 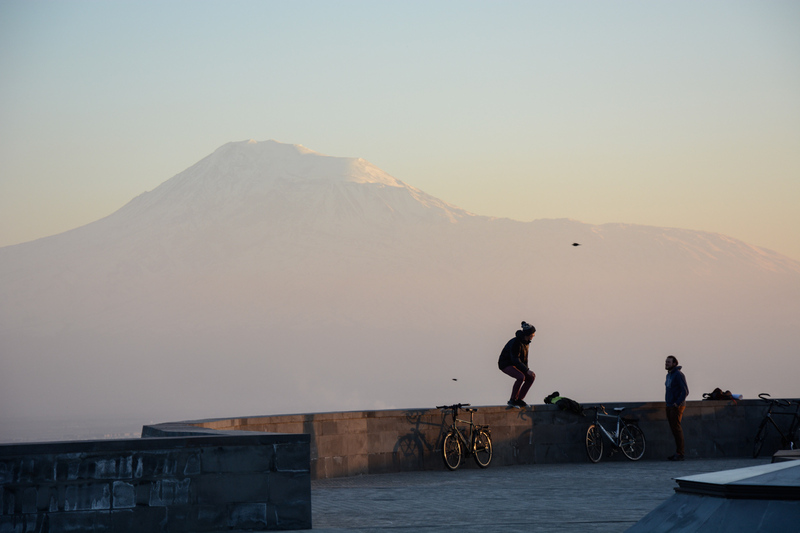 During our stay in Yerevan I was happy to be able to catch up with a friend of mine from back in Glasgow – Saulius. He’s currently working as a volunteer in Armenia and also organizes a weekly event called “Language Café” at AEON – a very special coffee shop (self-titled as ‘anti-café’) that organizes some events, supports multicultural events and arts, one of its unique and interesting rules is that people are being charged for the time they spend there, not coffee, tea or snacks. We were happy to accept the invitation and give a presentation there. One thing lead to another and somehow we got invited to present also at NLDS (National Leadership Development Seminar) organized by AIESEC – the largest international non-profit youth organization in the world. Our presentation was to concentrate about people taking actions and becoming real leaders, and generally talk about our trip and what we have had to face on the road. Even though the topic was to be quite relaxed, I personally was a bit nervous after hearing we would speak to around 150 young people. However, the day had started with quite the delay in transportation and as we arrived at the conference, there were some organizational problems that were solved after a while and followed by a hearty introduction with all the organizing committee and a seminar’s dance. About half of the day was just spent waiting around; having lunch; having tea; witnessing some awkward dancing; having dinner and in between there were a couple of lectures given by some more knowledgeable people (or as they were called at the conference – facilitators) than the students (the delegates). I must say, everyone was very well looked after, they did, however, forget to organize the promised transportation back to Yerevan (some 60 km away from where the conference was being held) for us, but since we are used to finding our way about, we did it this time too. We did not stay at the seminar for the whole weekend’s programme, since we were planning to get back on the road and cycle to the direction of Iran in a couple of days, but I do hope everyone there learned something – good and bad, as I sure did (particularly the conference etiquette and even some traditional AIESEC dance) Everything you do, just adds to your experience. 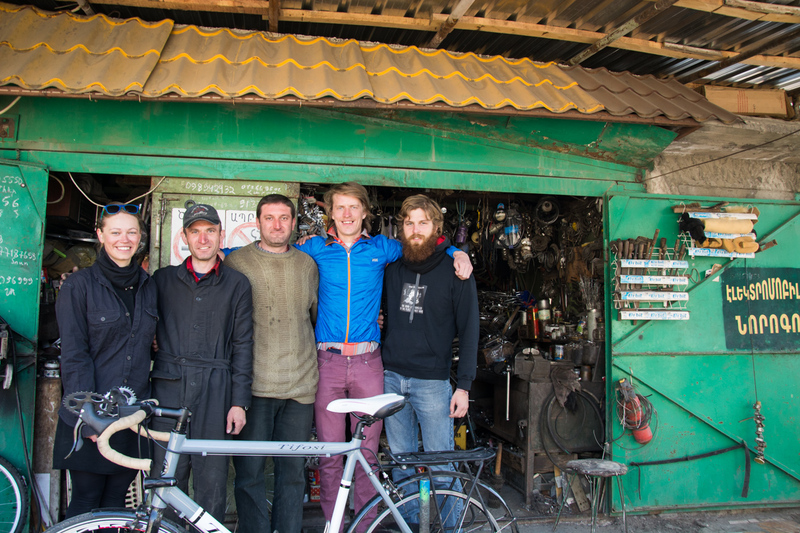 It has become a little tradition of sorts – to check out bike shops and changing, repairing, adding, and adjusting details of our bicycles in almost every big city we visit – Yerevan was no exception. We were all hoping to true our wheels a bit since they were already a little bent when Dainis and I bought them in Tbilisi and Ivars’ bike was definitely due a check-up. But mainly I was hoping we could find a bike shop that could solve quite the problem with my suborn Unicorn’s (and yes, I have given my bike a silly little name Dainis helped me come up with) rear cassette – the biggest sprocket was definitely quite a few cogs too short for me to be able to cycle up some serious mountains we were planning to face in the future. 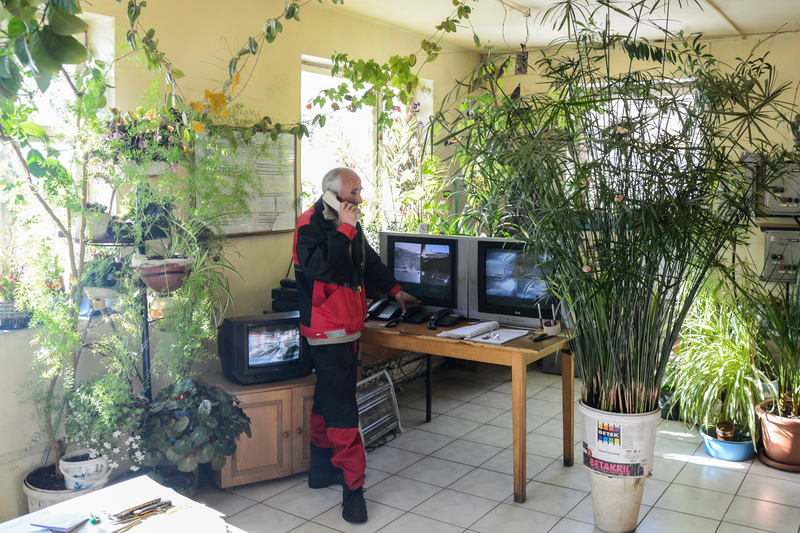 We were quite lucky to choose HVZ bike repair shop for the job, we had some difficulty finding it at first since it is not so visible from the road unless you know where to look, but eventually we arrived and met some pretty knowledgeable bike mechanics. Being able to speak Russian definitely helped. The guys were most helpful, even though they did not have the specific sprocket for my bike, nonetheless they were able to custom make a replacement by melting a sprocket from Shkolnik together with one of my existing ones. So I want to say a very big thank you to Samvel Hovhannisyan for saving the day. 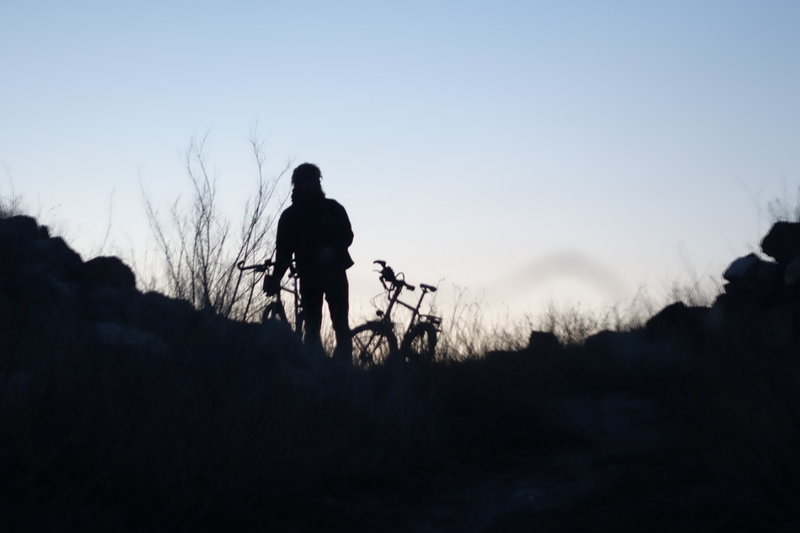 This article ends quite abruptly, but what’s next, after we have finally managed to get our Iranian visas and our bikes are all tuned up, ready for further adventuring? 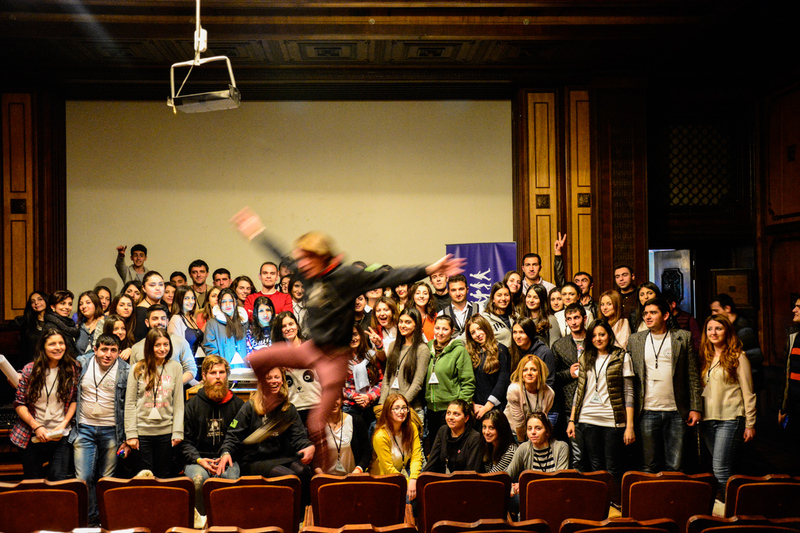 Check back in a week to read the second part of our experiences in Armenia!